In the opening scene of The Secret Society of Sugar and Spice, the girls of the Secret Society are meeting in a cave high above the Mississippi River in St. Paul, Minnesota. 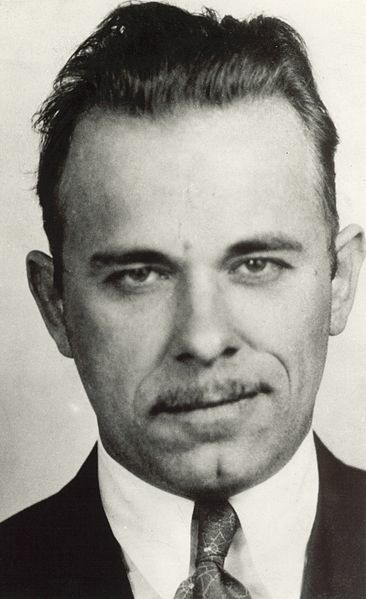 What does this have to do with the notorious gangster, John Dillinger? The caves on the southern shore of the Mississippi have a long history. The sandstone of the cliffs is soft and subject to erosion. Many of the caves were man made so, technically, they should be called mines. Since the 1840's, the caves were used for storage, growing mushrooms, and as bars and restaurants. In the 1920's, a cave on Wabasha street in St. Paul was the site of a speakeasy. Legend has it that this became a hideout for such notorious gangsters as John Dillinger, Baby Face Nelson, Roger "the Terrible" Touhy, Machine Gun Kelly, Alvin "Creepy" Karpis and the Barker gang. Today, the site of the former speakeasy is still in use as an event hall known as the Wabasha Street Caves. You can tour the cave, hear the history and even see the bullet holes from a shootout that occurred there.